If you follow Family Money Adventure on social media, you saw that we recently paid off my wife’s student loan debt she incurred from graduate school. While we had been paying it off for quite some time, It wasn’t until we discovered a better way of managing our finances that we were able to make bigger payments and kill that debt quickly. Our secret was using a zero-sum budget, which I learned from the book “Zero Down Your Debt” by Holly Porter Johnson & Greg Johnson. Through reading and applying the techniques in the book, we’ve been able to get rid of major debt and move towards financial freedom. 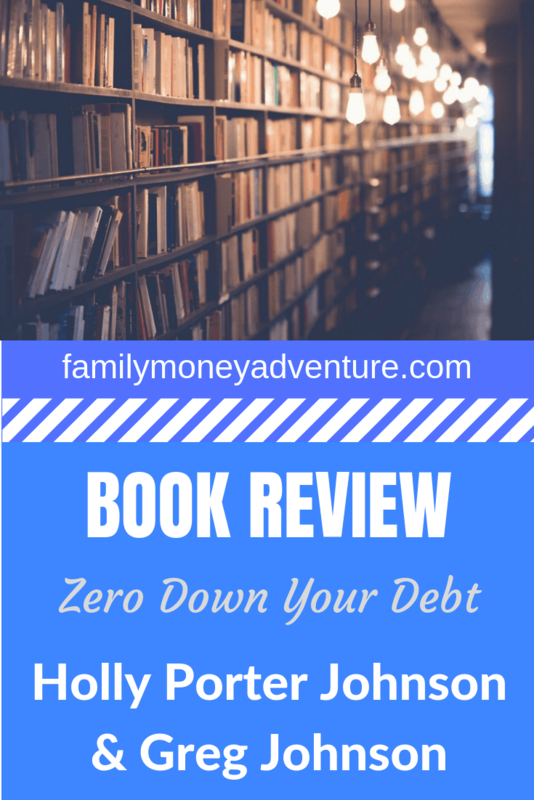 “Zero Down Your Debt” is a real-world personal finance book. Because I write about personal finances and am generally interested in reading about money, I do ok with other books, but often I want to skip past the feel-good stories or 3 chapters explaining the importance of budgeting before actually learning how to budget. Just get to the good stuff already! That is what you get from Holly & Greg. 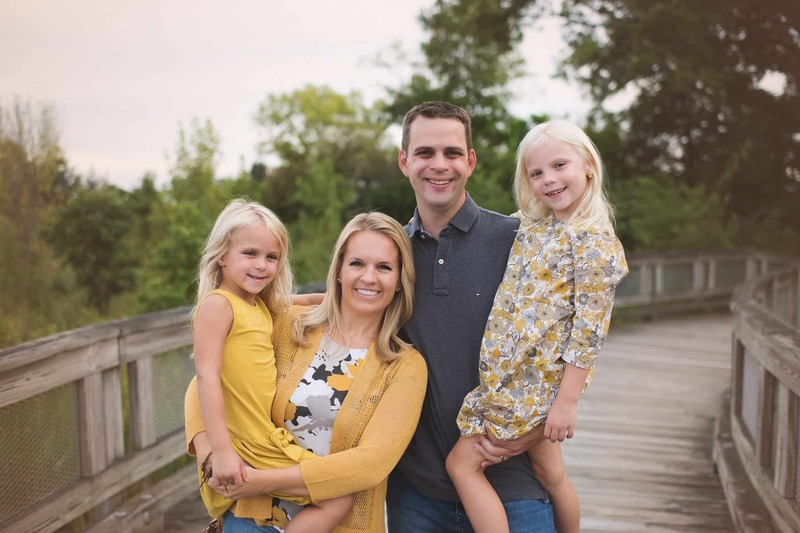 Holly & Greg Johnson are the couple behind Club Thrifty, a website designed to help people discover financial freedom and save money on travel. In “Zero Down Your Debt”, they give you just the right amount of information so you have a healthy understanding of budgeting and why a zero-sum budget works. Then they give you the goods. This book doesn’t waste your time. Holly & Greg get right to the point, give you the blueprint to kill debt and then get out of the way. Too many personal finance writers are more interested in stories and anecdotes, rather than spending time teaching readers. To oversimplify a zero-sum budget, basically, you use last month’s income to plan this month’s budget. Say you and your spouse made $7,000 last month. Then that is what you have to work with for this month for bills, expenses, and anything else comes along. Make a list of all your expenses and subtract until you get to zero. There’s a lot more to a zero-sum budget, but that gives you an idea of what you need to do to succeed. 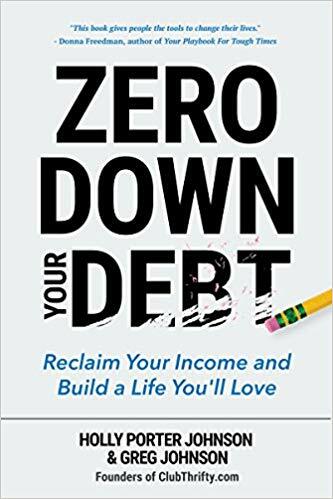 Throughout “Zero Down Your Debt”, Holly & Greg share simple truths about finances and give practical steps to fix your budget. For example, Truth #1 states, “ Debt is the single biggest obstacle standing between you and the life of your dreams.” I agree 105% with that statement. Many people are content to live month to month and paycheck to paycheck because they don’t know there is a better way or they do know but have never taken time to learn. This book provides the manual that will unlock your financial possibilities. Holly and Greg also give action steps at the end of each chapter to help you move closer to your goal of a fully functioning budget. The book is filled with examples that clarify and solidify the points in the book. “Zero Down Your Debt” is easy to understand, taking financial concepts and gives legs to them. One of the best parts of the whole process of reading and learning about the zero-sum budget was the fact that I emailed Holly any remaining questions I had and she emailed me back quickly with the answers I needed. I don’t know too many authors who do that. “Stop spending. Start living.” These words are written in bold print on the back cover of “Zero Down Your Debt”. A simple yet powerful phrase. So many people fall into the trap of spending money they don’t have, thinking this brings happiness to their lives. True financial joy, though, is found when you look beyond today and discover the freedom that comes from killing debt and budgeting your money. Happiness comes when your money works for you, not the opposite. Do you know any personal finance or travel books we should review next? Let us know in the comments below! Want the latest news and articles from Family Money Adventure? Great post! I am also a fan of reading about money/budgeting book. I had not heard of the term “zero down budget” but it’s exactly how my husband and I approach our finances. What I adore about him is that he’s a bit more advanced – basically for the “we don’t have any debt and have some cash in savings. Now what?” crowd. Another super fun site to check out is “Mr.MoneyMustache” – Pete is hilarious and makes saving money really fun. He’s also super extreme and a die-hard “FIRE” example (financially independent, retired early) and while I’ll never be that extreme, it’s a fun place to get some inspiration. Are Cedar Point Season Passes Worth It?